Stalker Cat is a live wallpaper designed for Android devices. Welcome a sneaky cat to your home screen. He'll pop up from random locations along the edges of the screen and get all smug if he thinks you haven't detected him. 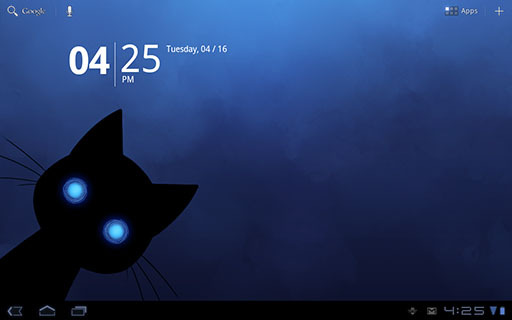 With mesmerizing eyes and color, this cat live wallpaper is subtle and enchanting. 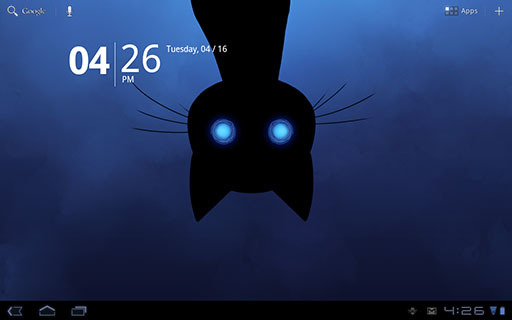 Stalker Cat is a beautiful dark themed live wallpaper and looks great behind any icon.